The Big Architecture Trade Show is the first and the leading Trade Show for advanced architecture and professional civil engineering in the region that aims to familiarize architects and other expert decision-makers with new materials, innovative technologies and advanced solutions related to planning and implementation of high-quality architecture and interior design. It is important to note that the final decision regarding the exhibition is adopted by an expert jury on the basis of innovativeness or product novelties. 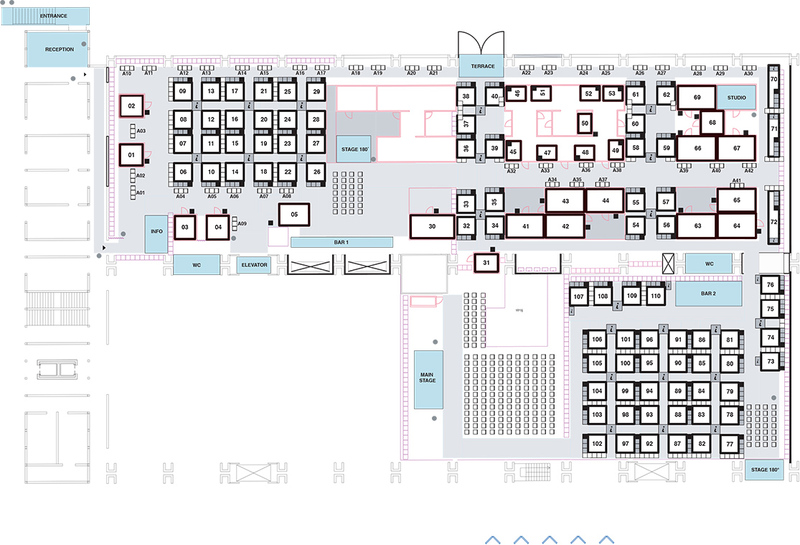 An original Trade Show plan: the Trade Show provides a new, proactive way of communication among the exhibitors by means of a unique Trade Show plan in the City of Design that takes the visitors through a clear and uniform concept of the stands. There will be an array of various accompanying, educational and social activities such as lectures, presentations, awards, organised individual meetings, exhibitions, networking etc. Architectural tables (Architect Match) – these are organised individual talks between architects and civil-engineering suppliers. Their aim is to strengthen an in-depth exchange of expert opinions and information – a unique opportunity for architects to become familiar with various innovations, novelties and solutions and to establish new business relations and opportunities both with suppliers and other architects. Big Architecture Trade Show is a curated event for professionals in architecture and construction. In order to assess the relevance of your cooperation, please briefly describe your activity. Yes, we would like to exhibit at the Big Architecture Trade Show. Please send me an offer. Yes, I'm interested in exhibiting, I want to see the event for free. Please include me in the list of guests. – Organised individual meetings with architects and suppliers of construction materials. – Visit of the Exhibition BIG SEE ARCHITECTURE AWARDS.